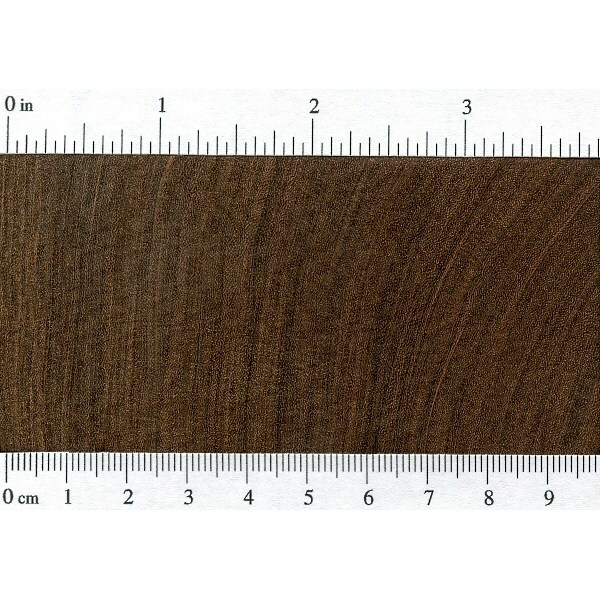 Color/Appearance: Heartwood is a dark brown, sometimes with a reddish hue. 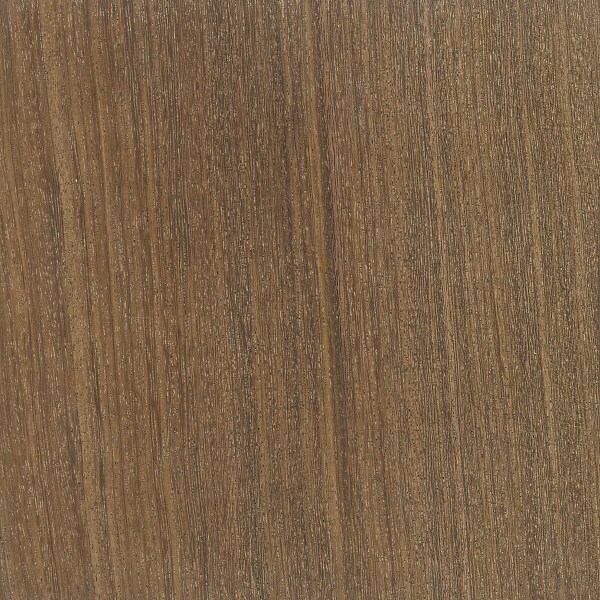 Pale yellow sapwood is clearly demarcated from heartwood. Grain/Texture: Grain is straight to irregular or interlocked. 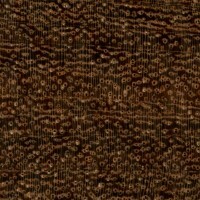 Uniform medium to coarse texture, with moderate natural luster. 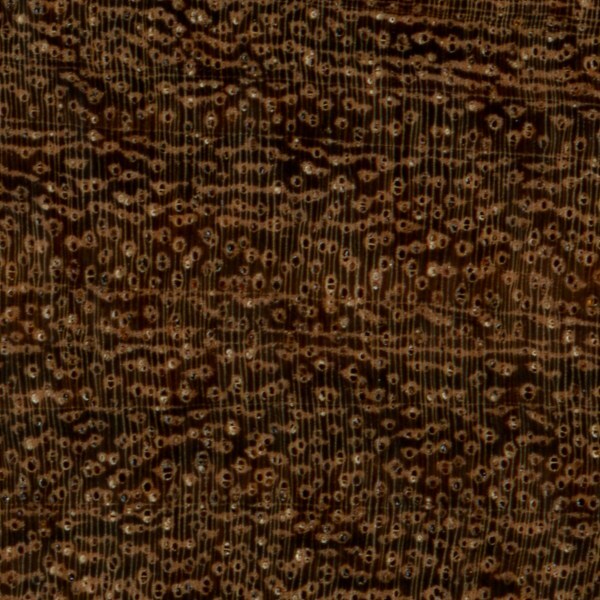 Endgrain: Diffuse-porous; medium pores, few; solitary and radial multiples; reddish brown heartwood deposits abundant; parenchyma vasicentric, lozenge, winged, confluent, and banded; narrow rays, normal spacing. Rot Resistance: Rated as very durable, though susceptible to insect attack. Workability: Generally difficult to work on account of its high density and irregular grain. 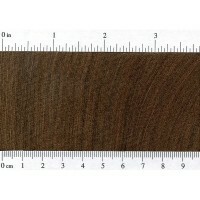 Brown Ebony is well suited to lathe work, and turns and finishes well. 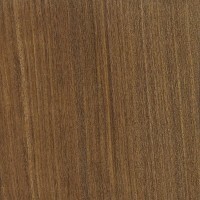 Allergies/Toxicity: Although severe reactions are quite uncommon, Brown Ebony has been reported to cause skin irritation. See the articles Wood Allergies and Toxicity and Wood Dust Safety for more information. Pricing/Availability: Occasionally available for sale in the form of small blanks and turning squares. Prices are in the medium range for an imported lumber, and much lower than true ebonies. Common Uses: Primarily for turned objects; also used for heavy construction within its natural range. Comments: Being that the term “ebony” is synonymous with black, the term “Brown Ebony” may be somewhat of a oxymoron. 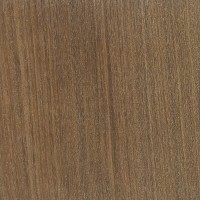 Brown Ebony is not in the Diospyros genus, and isn’t considered a true ebony. 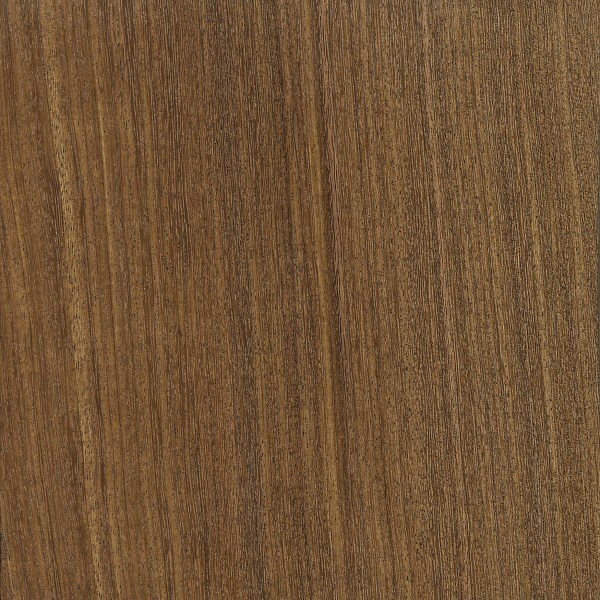 Botanically, the wood is actually more closely related to Brazilwood—well known for its use in violin bows.